Welcome back to The Naturopathic Kitchen. Living a healthy life begins in the kitchen. This week we will focus on the well-known yet underutilized, yogurt. Yogurt is a simple way to add creaminess, protein, probiotics, and a number of health benefits to your dishes. We will finish up with two amazing recipes for you to try! Where does yogurt come from? Where can I find it? Yogurt is made from combining milk, typically from a cow source. Other types such as goat, sheep, water buffalo, and even camel are used along with milk alternatives like coconut milk, nut milks, hemp milk and soy milk (though these require different processing due to the absence of lactose) with beneficial bacteria. Using different milk sources impacts the flavor and texture of the yogurt produced. Additionally, US law requires that two bacterial culture types be present in order for a product to be labeled as yogurt, Lactobacillus bulgarians and Streptococcus thermophilus, though other beneficial bacteria are also often added such as Lactobacillus acidophilus, Lactobacillus casei, and Bifido-bacteria to support additional health benefits.3 The purpose of the bacteria is to ferment the sugars in milk (lactose) to produce lactic acid, which causes the milk to thicken into the soft gel that is characteristic of yogurt. How does yogurt help my health? What medical conditions/symptoms is yogurt good for? When should yogurt be avoided? Outside of an outright allergy or sensitivity, yogurt is generally recognized as safe when used as a food. Even those who are lactose intolerant may be able to enjoy yogurt. Because of the bacterial fermentation process, yogurt contains much lower lactose amounts than non-fermented dairy products like milk. Certain yogurt sub-types, like Greek yogurt may be even lower in lactose. It is important to read the nutrition and ingredient labels on yogurt carefully as some types have excessive sugar or contain artificial sweeteners. 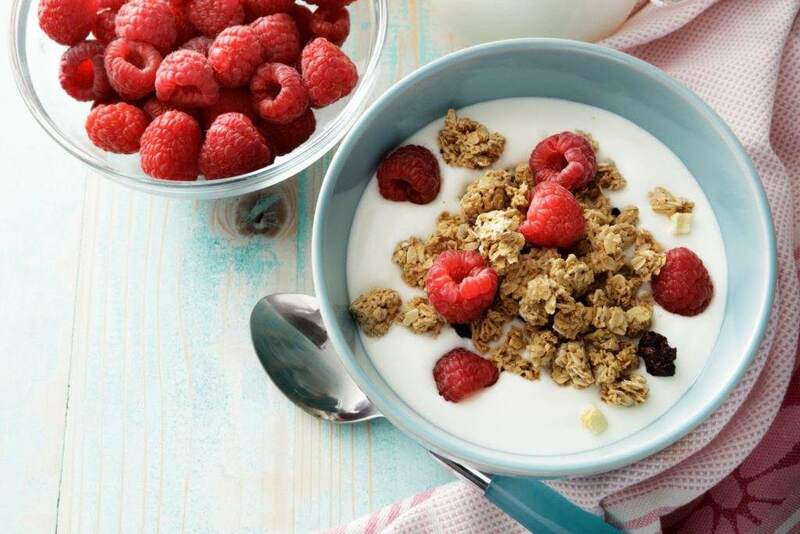 Let’s try out yogurt with these delicious and nutritious recipes! In a medium sized bowl, whisk together the Greek yogurt, lime juice, curry powder, salt, and pepper to taste. Add the chicken, green onions, slivered almonds, grapes, celery, and raisins (if using) to the dressing. Stir well to combine. Serve as a sandwich, over a bed of fresh salad greens, on cucumber rounds, or with pita chips and fresh chopped veggies. Keeps in the refrigerator for up to three days. Thank you to Belle of the Kitchen for this wonderful recipe. Heat olive oil in a pan over high heat. Add onion and garlic and cook until soft and golden in color. Add in spinach a handful at a time while stirring with a wooden spatula. 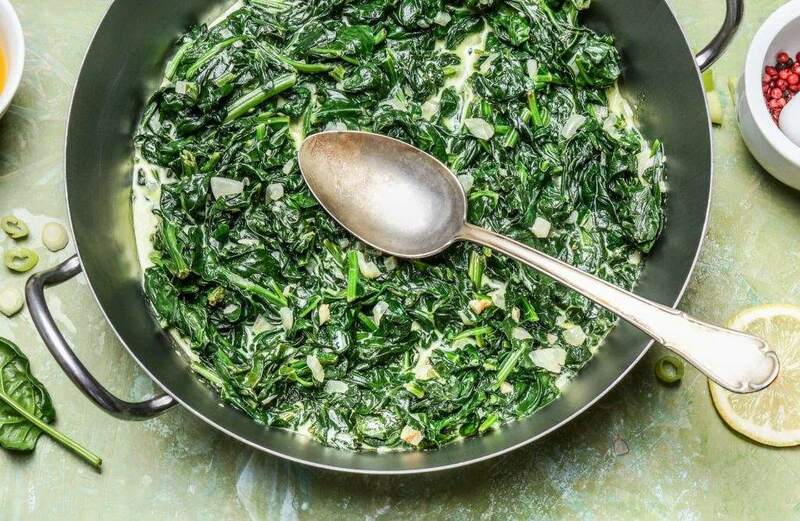 Cook spinach for 2-3 minutes. Season with salt and pepper. Turn off heat and stir in the Greek yogurt and fresh dill. Serve with a few drops of freshly squeezed lemon. Thank you to Real Greek Recipes for this amazing recipe.